Zero Pressure ROOF CLEANING will make your existing roof look like new again by dissolving and rinsing away the roof algae (GLOEOCAPSA MAGMA) strain that feeds on your shingles. This algae likes to thrive on the north side of roofs where the proper amount of shade is present. It feeds on the crushed limestone that is used in asphalt shingles. Rain spreads the algae down the roof causing unsightly black streaks. Eventually, the algae will take over the entire roof. Blast Off Exteriors offers Hampton Roads and the Newport News Peninsula professional roof cleaning services. Many people hate seeing their roof get those ugly black roof stains that seems to be plaguing the Newport News / Hampton Roads area in recent years. We start by removing all of the loose debris from the roof. Then we apply our biodegradable cleansers to loosen the algae from the shingles. After the algae has been loosened, we gently rinse the dirt off the shingles. Results can be seen immediately! We look forward to bringing back your home’s "curb appeal" by removing those ugly black roof stains from your home or business using our proven Zero pressure roof cleaning methods. If you are one of many homeowners who are thinking about replacing your roof or know of someone who is, make sure the roof needs replaced. Though we are a pressure washing company, we do not pressure wash roofs, Zero pressure roof cleaning is the answer. Q. What Are The Black Streaks On My Roof? A. Unsightly black stains or streaks on asphalt shingles are caused by a hardy type of algae called Gloeocapsa Magma. The algae feeds on the crushed limestone that is used in asphalt shingles. Rain spreads the algae down the roof causing the black streaks. These streaks are not only unsightly but cause the shingles to fail prematurely by not allowing the shingles to reflect heat properly. 50% Of Roofs Are Replaced Due To The Way They Look. This is not because of their functionality. Half of the roofs ever replaced didn't need replacing, only a Zero pressure roof cleaning. Just as mold and mildew can grow on your siding, windblown algae can land and grow on your roof. Replacing your roof because of this algae is like replacing your siding instead of having it cleaned; it just doesn't make sense. Some roofing contractors don't know what these black streaks are, saying it's the asphalt showing through the shingles or that it's water stains. Some contractors may know it's algae but tell you it can't be cleaned without damaging the shingles. In either case, they may tell you that the roof needs replaced. This is not true if your shingles are still in good shape. The algae can be killed and removed properly without damaging the shingles using a low-pressure chemical application (recommended by shingle manufacturers). Never use a pressure washer on an asphalt shingle roof, doing so will blow granules off the shingles and lessen the longevity of your roof. Companies like Owens Corning and GAF, and also the Asphalt Roofing Manufacturers Association recommend a low-pressure chemical application using certain cleaners to restore shingles suffering from roof algae, followed by a low-pressure rinse. 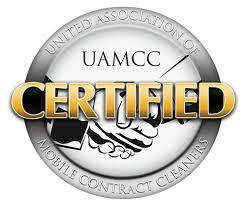 We use the cleaners and methods recommended by these companies, for a safe and damage free roof cleaning. If your shingles are still in good shape but have roof algae on them, having your roof cleaned will allow you to get the full life out of your shingles, saving you thousands of dollars. Signs Of Aged Shingles Needing Replaced. If you are still unsure about the status of your roof, we will be glad to evaluate it for you. We will not clean shingles that need replacing because cleaning the roof won't solve the problem if the shingles are aged. On the other hand, if you call a roofing contractor, you may not get the whole truth and may be persuaded into replacing a roof that only needs to be cleaned. We provide numerous home or business exterior cleaning and pressure washing services for decks, roofs, driveways, wood restoration and more. If you live in our Virginia service area, click the following link to request a Free Power Washing Estimate!